Have you ever used a letter in your family history research? Letters from friends and family as well as those from businesses and organizations can provide information for your genealogy that can’t be found in standard genealogical resources. Letters from family and friends can provide wonderful clues for your family history. In the case of my own family history research, a letter held by a distant cousin from my 5th great-grandfather listed the names of his children and their birthdates. He also provided insight into his everyday life as an elderly widower living with one of his daughters. 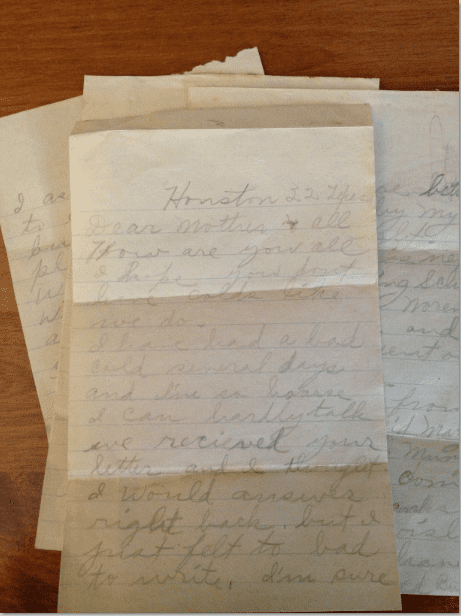 While some researchers may be fortunate to have inherited the familial archives, not everyone is lucky enough to have copies of family correspondence. Even if you have no access to the letters penned by your ancestors you may want to search for letters written to and from friends, neighbors and community members where your ancestor lived. 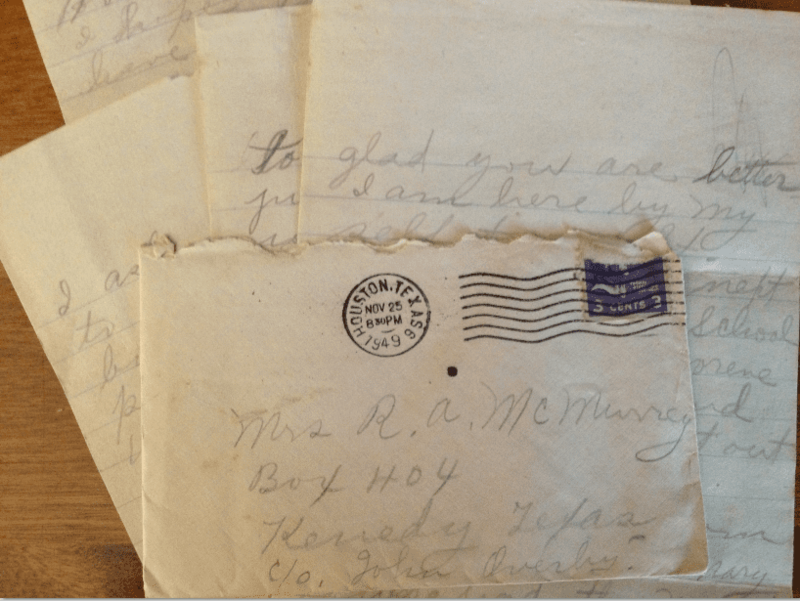 These pieces of correspondence, found in manuscript collections, can provide social history information about events that affected your ancestor as well as the possibility of mentioning your family members. To find a manuscript collection for the place your ancestor lived in, use a website like ArchiveGrid or the National Union Catalog of Manuscript Collections (NUCMC) and search on the name of the place your ancestor was from (for example, city and state), not just the name of your ancestor. Look through these results to find any mention of correspondence for the time and place your ancestor was from. State historical societies are another good place to search for letters. There can be other places to find correspondence. Surprisingly, one place to find letters is the newspaper. Remember that a newspaper is the voice of a community and as such all types of news can be found there, including letters. In some cases the letters are intended to be published in the newspaper, as in the case of Letters to the Editor. In others, the recipient has shared a letter they received that they thought would be of interest to their neighbors. 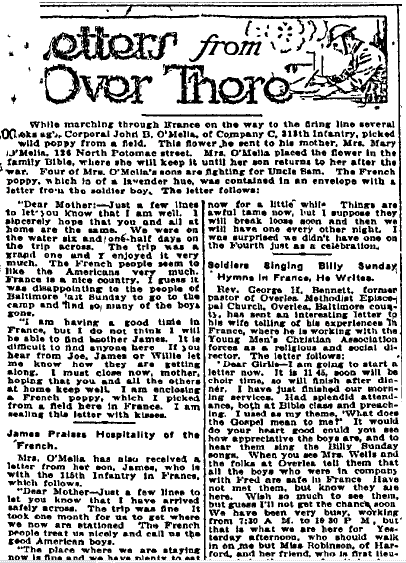 During war time soldiers’ letters home were sometimes shared in the newspaper, as in this feature “Letters from Over There.” These published correspondences can provide you with a glimpse of what life was like for those in your ancestor’s community. 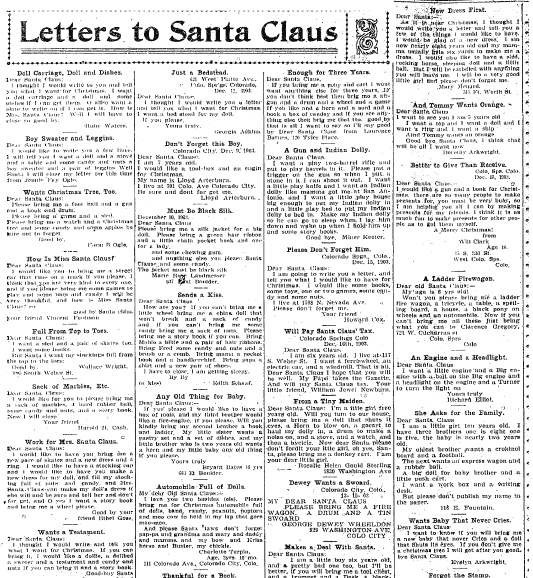 Even children are represented in letters published in newspapers, as in the case of letters to Santa. Don’t assume that just because you did not inherit your ancestor’s letter correspondence that none exists. Check out archives, libraries and newspapers for more information about your ancestor’s life. [i] Women’s Letters. America from the Revolutionary War to the Present. Edited by Lisa Grunwald and Stephen J Adler. Page 1. Available on Google Books http://books.google.com/books?id=y8cGGFpBnBEC&lpg=PA415&dq=%22lydia%20E%20Pinkham%22&pg=PP1#v=onepage&q=%22lydia%20E%20Pinkham%22&f=false. I am so glad to have read this article. I have been doing genealogy off and on since I was 15 years old – 51 years! And no I’m not OLD YET! A couple of years ago I decided I needed to do something about the old letters I have – some from my husband when we first started dating, some from my parents and husband’s parents to us while we were in Germany in the 1970’s and the ones we sent them, etc, etc, etc. They are like reading a diary and of course I knew I would not throw them away. They are priceless!!! So I spent quite a bit of time putting them in plastic sleeves and in 4-inch binders by family. I also included all the graduation invitations, wedding invitations, baby announcements, obituaries, etc. in the notebooks with each family. It was a massive undertaking and I am so glad I did it. Now I add to the notebooks as each event comes along and of course with grandchildren I have their school programs when they played in a concert, football game, etc. I had people asking me why on earth I would keep those old letters. A genealogist knows the answer to that. When I was first married a distant cousin sent me copies of letters written in French that my great-great grandfather wrote to his wife during the Civil War in Louisiana. I was so excited to say the least. They are true TREASURES!!!! And yes, some had been translated and I used a French dictionary to translate the rest and had a relative who speaks French make sure I had translated them correctly. It made these people seem alive and real by reading their thoughts and how they lived at that time. I could go on and on but this was supposed to be short and now it’s getting too long. My advice is DO NOT THROW AWAY YOUR LETTERS!!!! They are a treasure trove of history of the people who wrote them. They become alive for you and tell you things you would have never known about them otherwise. It makes your ancestors more than just a name and date on a pedigree chart. I couldn’t agree with you more. Letters do provide those stories that help us know our ancestors in a way that names and dates just can’t provide. The great thing about what you’re doing is that you are not just preserving your ancestor’s writings but you are preserving the writings of today for those future family members. Something that we as genealogists sometimes neglect. Thank you so much for commenting and sharing your experience. When I expressed an interest in family history, my mother sent letters to relatives asking for some basic data. She received many responses. Another aspect of letters & other documents is the obtaining a sample of a relative’s handwriting. Sometimes it is but a signature. I commit any documents such as letters and family Bible entries to a word-processor document. I add, in brackets, additional information about individuals such as a full name when only a first name or sobriquet is used. Also, I more fully describe geographic locations mentioned in the letter plus place of composition and date of the letter or date of post-mark, or date of receipt. Many letters are not dated and a circa date must be used. I store them in archive-friendly plastic. I store them in 3-ring binders behind an appropriate family group sheet that includes the family of the author or the individuals discussed. Thanks for sharing how you preserve family letters. I like the idea of annotating them with pertinent information. That will assist other researchers/family with better understanding the letters. I also like to digitize letters so that I can easily share and store them. Having additional backups is always a good idea.